In April 2014, a subsidiary of the Sotheby’s auction house lent more than $105 million to Jho Low, a business associate of the Malaysian prime minister’s stepson. As collateral, Mr. Low offered Sotheby’s 17 paintings, including a van Gogh and two Monets. The art, worth twice as much as the loan, had been purchased by Mr. Low and an accomplice using a web of offshore bank accounts. 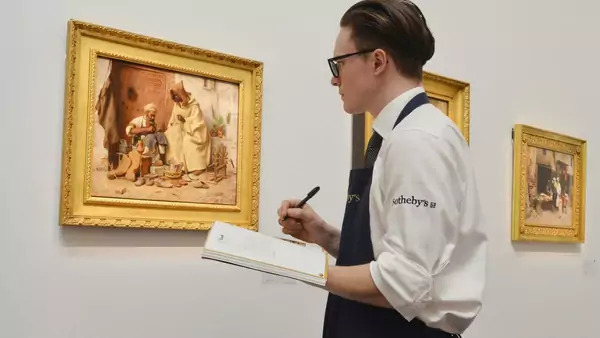 Sotheby’s had unknowingly assisted in laundering proceeds of an alleged multibillion-dollar fraud that ultimately ensnared Swiss and American banks, a Saudi oil company and Malaysian and Emirati sovereign-wealth funds. Sotheby’s is hardly alone. With $64 billion in annual sales, the often opaque art business is an attractive arena for money launderers. Subjective pricing creates an ideal environment for criminals to legitimize illegal funds or get money across well-protected borders. It is long past time for the U.S. to treat art and antiquities like any other major market and require participants to report suspicious activity and keep thorough records on clients and transactions. Art sales and auctions are famous for secrecy. It isn’t uncommon for a party to a multimillion-dollar art transaction to be anonymous, sometimes because of legitimate concerns about financial privacy and suppression of political art. Galleries and auction houses collect basic information on their buyers and sellers, but the vetting is usually far less intense than for similar-size bank transactions. For criminals, the art world’s comfort with secrecy provides a layer of protection against investigation into their finances.